This is an artist illustration of the required footer for garages in your area. This illustration should not be basis of your construction. Any construction should be base on the engineering prints which are produced after you place an order for an engineer certified garage. 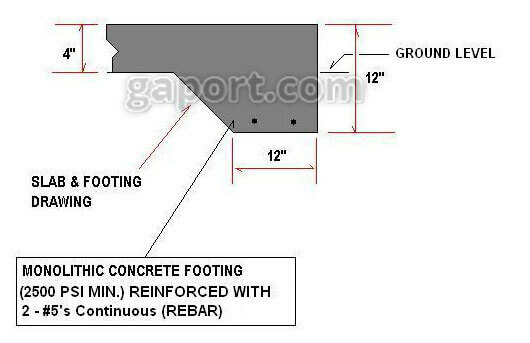 The sole and only purpose of this attachment is to give you an idea of what is required for the footing.